So, you just got a new puppy, and you’re realizing that behind that cute face lies a few problems. While many pet owners just write this off as typical puppy behavior, the truth is many obedience problems are the result of learned behavior. This means that ignoring the problems now will result in a continuation of them over the long-term relationship with your pet. Here are 5 benefits of dog trainers in Houston for your puppy. The simple truth is most obedience problems are the result of learned behavior. So, if you can teach your puppy how to behave properly, they’ll continue that behavior later on in life. The earlier you can introduce your puppy to good behavior, the better your relationship will be. Another benefit of puppy obedience training is that it stimulates your puppy’s brain. During this crucial period, your pet is developing both physically and mentally. Training your puppy will help sharpen their mind and make them better able to accept later training. In addition to keeping your dog from engaging in undesirable behavior, obedience training for your puppy is necessary for ensuring the overall mental and physical health of your pet. A disciplined dog really is a happy dog. Pets crave leadership and structure; puppy obedience training helps your puppy live a more balanced life. Socializes Your Pet- during the formative years, it’s necessary to socialize your puppy with other people and pets. This will help them learn how to interact properly with strangers. The last thing you want is a dog that constantly attacks unfamiliar people and pets. Introduce your puppy to new experiences early in life. The most important benefit of obedience training for your puppy is that it teaches you to be a better owner. Owners are typically the ones who teach their pet to engage in poor behavior. By learning how to be a better owner, your pet will be happier and your relationship will be enhanced. If you’re ready to introduce your puppy to good behavior, we can help. We’re Shelmar Kennels, a leading provider of puppy obedience training. 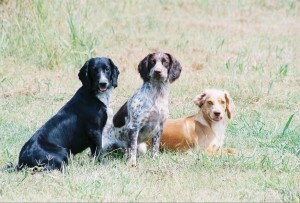 We have years of experience at training all breeds of dogs and educating owners. Learn more about our training services by contacting Shelmar Kennels today!